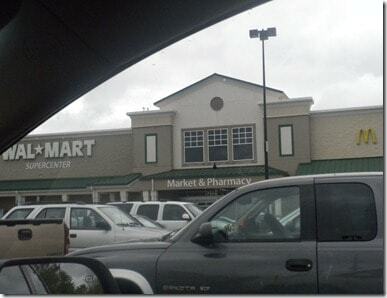 I really love doing these shops and paying major attention to our Wal-Mart stores! It is very interesting to find the ones that I like best are actually the ones that are well stocked, have friendly staff, and are the cleanest. Until you start analyzing pictures, you don’t really notice how empty some of the shelves are or how much filth covers some of the floors! I like to sneak artificial sweetener into several items I make. I don’t usually replace all the sugar with Equal, but at least half. My boys don’t notice a difference, but I notice a major calorie difference! How do you try to lower the calorie content in your daily life? What is your thought on the flavor or after-taste of artificial sweeteners likes Equal and Splenda? I have found that we don’t notice the after taste if we use a little sugar, or if we use it in something that has a flavor, like tomato sauce. I am making the Bayou Zinger this time around. That recipe can be found on the Equal website and as soon as I can stand up for a bit, I will get it made and posted at Southern Mom Cooks and will update this post. I find myself cropping our dirty floors and dusty shelves from my shops- things I never noticed before. Hope you have a speedy recovery. You look great! I notice the taste of it in things like coffee and tea but I have found when I sneak it into my baking or even cooking, I can’t tell the difference.